Comedian Stephen Colbert hosts the Comedy Central 'Rally to Restore Sanity And/Or Fear' on the National Mall October 30, 2010 in Washington, DC. Tens of thousands of people filled the east end of the mall to see comedians, musicians, sports stars and others perform during the televised event. Check out this patriotic number! 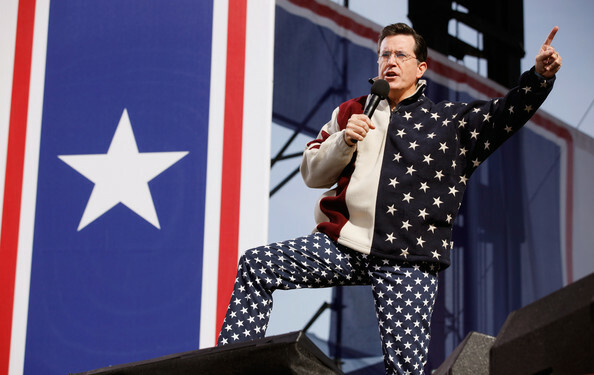 Stephen dons his stars and stripes for the DC Rally.